Posted on March 25, 2014, in Action and tagged Action, Bell, Chan Wook Park, Drama, Evans, Harris, Hurt, Joon-ho Bong, Kang-ho Song, Spencer, Swinton, Thriller. Bookmark the permalink. 49 Comments. Thanks Vern! I believe it’ll get its wide release in the States near the end of June. So happy I could bring it to your attention. The more I think on it, the more the film grows on me. The characters are extremely vivid, with broad personalities, quite intriguing. Been waiting for this to be released. Thanks for this, Joseph. No problem!! Thanks for reading :). I’m sure you’ll have a good time with this one when you get the chance to see it! I’ve never heard of this either. Where are you finding all of these? LOL! Look who’s talking, I’ve never heard of at least half of the movies you review ;). Sounds like my kinda film! Been looking forward to this and it looks like it doesn’t disappoint. Really enjoyed reading this Joseph. Thanks! It’s a great action flick and I’m sure it won’t disappoint you :). Awesome post. Never heard of it but it’s something I look forward to seeing. Thanks for the head’s up. Thank you :). Happy to bring it to your attention! I live in Toronto. No idea when it’s coming out over there, either. I know it’s getting released in North America sometime in June, so maybe around that time for the UK, roughly? Cool, i’ll keep an eye out then. Same here, I never heard of it…sounds interesting, I will look out for it. Cool to see Pine in a different type of role. It is very interesting and entertaining! Did you mean to say Evans instead if Pine lol ;)? I did know what you meant ;). Chris Evans, Chris Pine, same difference lol. This sounds like a really interesting premise, will need to check it out! Great review Joseph. Thanks so much, Adam! It’s a unique, intriguing premise, that’s for sure :). Great review, I’m interested in checking out this movie and the cast looks good too. Thanks bud :). Definitely give it a watch when it’s released. Such a fun flick! Been quietly keeping my eye on this one. The cast look great and I’m glad it’s turned out to be a decent film. Nice review mate. Thanks! It’s entertaining, there’s no doubt about that! I knew this was out mostly because Marco Beltrami did the music for it. I’m surprised there is no mention of the music. 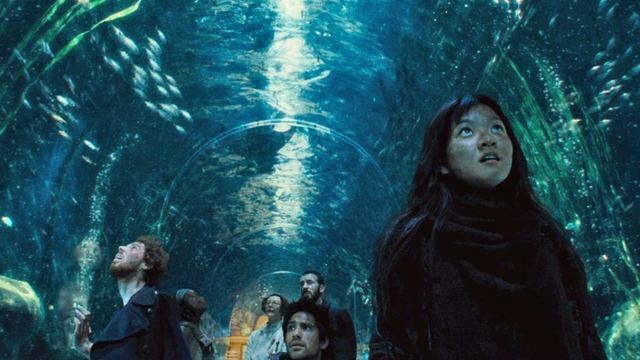 Does it just blend in so much with the film that you don’t really notice it? To be honest, I didn’t pay much attention to the music. That being said, it could mean the soundtrack just blended in too well or that it wasn’t all that memorable. I’d need to see it again before judging the score. Sorry :). From what I’ve heard in the soundtrack album it doesn’t surprise me that you missed it. I’m going to be checking out the movie when I can so maybe I’ll be able to notice it better. I’ve always paid more attention to the music in movies than the average viewer. I do love a good soundtrack, as much as the next guy. Try to pay attention to every films score when I’m viewing it. 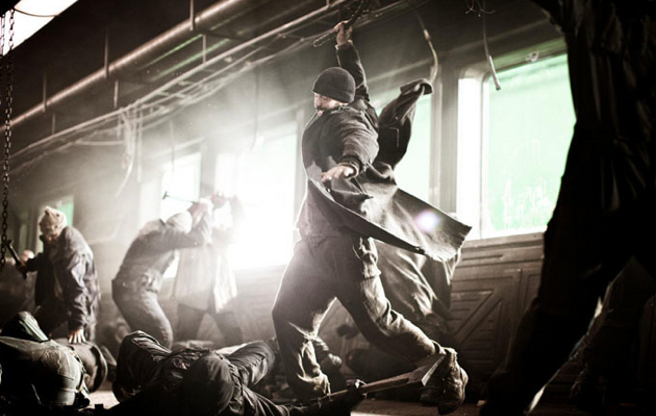 Maybe because the action and visuals are so relentless and stunning that the score just fades in the background. Fantastic review, Joe. Really want to check this one out ever since I heard about it. Love the concept and the cast. Thank you, Fernando!! Can’t wait to read your thoughts on this one. It’s a very unique film, to say the least :). I know :). That’s why you’ll like this flick! I love your writing. Definitely I’m a fan. Great post! Thank you very much :). Happy to hear you enjoyed it! Been waiting for this film to come out for a while now! Did not even realize it had been released in some markets already, thought it was still on the festival circuit. Regardless, cannot wait to see it. Saw a special screening, I don’t believe it’s been released yet, sometime around late June, I think. Thanks for reading! Thanks Cara!! While not as good as The Host, it definitely has its value. Look forward to reading your thoughts on it when it is released where you are :). I saw the trailer for this movie a while back and was mildly interested in it, I guess I will give it a try now. Awesome! Happy I could persuade you :). WHOAH!!! So lucky that you’ve seen this already Joseph! I’m so jealous, I’ve been blogging about this a long time ago but still we don’t have this film in the US (darn Weinsteins!!). 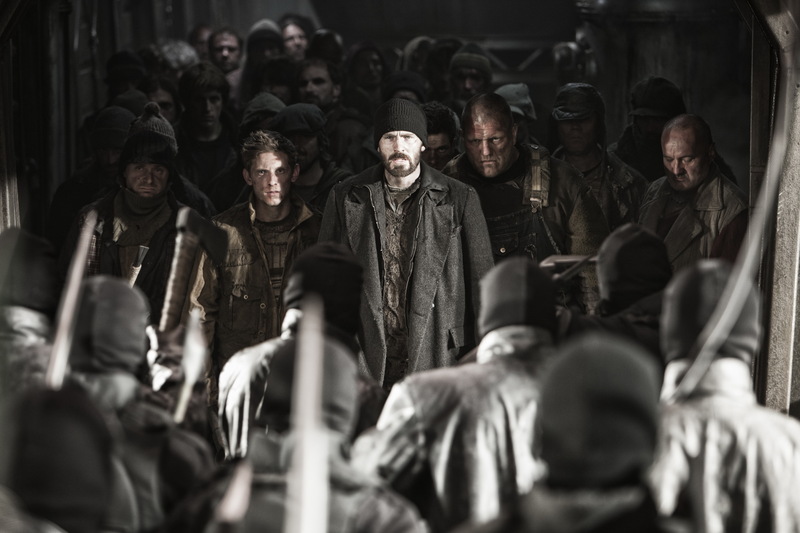 This looks phenomenal, I’m most curious to read this: “…Snowpiercer exemplifies, is that Evans has the ability to deal out heroic, blockbuster performances as well as dramatic stunners.” I’ve come to respect Evans more and more and having just seen The Winter Soldier last night, he certainly displayed dramatic chops there as well. Great stuff, man! I know, I’m very fortunate ;). It’ll be released sooner than you think! You’re so lucky to have seen Captain America already! I’m dying to check it out. So happy to hear he continues to provide the dramatic balance to his heroic roles. 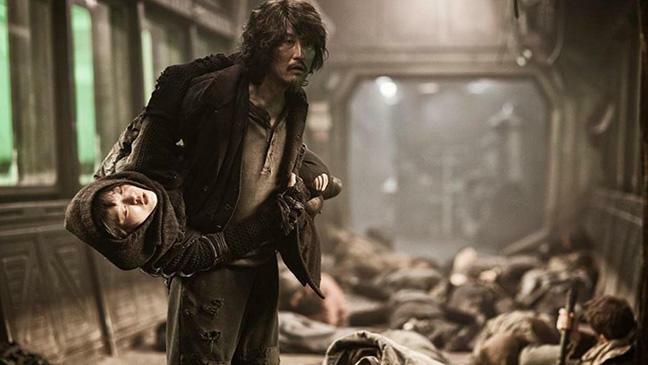 He does it so well in Snowpiercer as well. He’s such an underrated talent, so happy you agree :). You’re in the UK right Joseph? Are you in London? Yeah I think we may get it June, man that is still a looong time! As the only Avenger member I’ve ever met, I’ve come to like Evans more. I agree he’s underrated as ppl probably think of him as a pretty boy but he’s actually more capable than ppl think! Great review, I think you’d enjoy Evans in The Winter Soldier, and the film’s great too IMO. No Ruth, I am in Toronto, Canada :). I believe it hits stateside end of June, like you said. You’ve met Evans! So lucky, I’m super jealous lol. Definitely thought of as more of a visual assets, when in reality he should be just as recognized for his dramatic turns. I can’t wait to see Winter Solider now, thanks for the affirmation! Going to watch this over the weekend. Great job on the review! Glad you liked it, now I’m really stoked for it. Thanks! Terrific! Can’t wait to read what you think of it :). Thanks for stopping by! Another great review, man. I’m intrigued by this one, I have to say. Originally I thought it was going to be a stinker but you’ve given it enough of a seal of approval that I’ll give it a go. Thank you! I’m happy that I could persuade you into giving this a look. It really isn’t that bad at all, strong direction, premise, and performances! It really dictates how the action genre should be :).